Dr. Steven Yarinsky is involved with www.expertinjector.org, a group of highly trained and experienced plastic surgeons who are skilled in administering injectable cosmetic treatments such as facial fillers and Xeomin®. 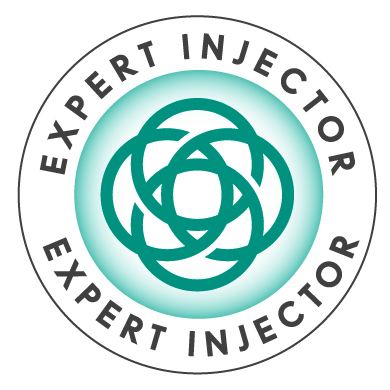 A combination of these treatments can be performed as a “liquid facelift.” All physician members of expertinjector.org are committed to providing you with the best possible results using injectables that have been approved by the U.S. Food and Drug administration and purchased directly from the manufacturer. All injectable treatments are performed by Dr. Yarinsky. We now offer “Pain Free Injectables” with “laughing gas”. Contact our office for details. Dr. Steven Yarinsky is one of the first board-certified plastic surgeons in the Capital District to use Xeomin® for improvement of moderate to severe frown lines between the eyebrows (glabellar lines), crows’ feet and forehead. Developed by Merz Aesthetics, Xeomin® is an injectable treatment that is also effective for the temporary reduction of wrinkles and fine lines in other areas of the face. The treatment has also proven successful at reducing excessive sweating in the underarm areas for patients who are experiencing hyperhidrosis. If you are considering facial rejuvenation, Xeomin® can often be very beneficial in that it works to smooth out signs of age between the brows, around the eyes, and on the forehead for a more youthful, refreshed appearance. Xeomin® involves injections of a solution composed of a highly-diluted form of botulinum toxin into the areas targeted for treatment. The Xeomin® solution temporarily prevents underlying muscles in the target areas from contracting (it is this muscle contraction that typically causes wrinkles to appear). The injections are performed using a very tiny needle, and the area can be numbed to minimize discomfort. The entire Xeomin® procedure usually takes only about 15 minutes to complete, depending on the size and number of treatment areas. Most patients experience some mild swelling and temporary redness around the injection sites, but this should disappear over the next few hours. Occasionally, bruising may occur. Patients can typically expect to resume normal daily routines immediately after treatment. *The results of Xeomin® should be noticeable very quickly after treatment, with the best effects becoming apparent after a few days. *Results can last up to four months and even longer in some cases. The effects can be maintained with follow-up Xeomin® treatments every 3-4 months. Xeomin® can be used to complement surgical and non-surgical facial rejuvenation procedures such as eyelid surgery or laser skin resurfacing and facial fillers for a more comprehensive facial makeover. The specific risks, benefits, and suitability of Xeomin® procedures for your specific needs can be determined only at the time of your consultation with Dr. Yarinsky. All procedures have some degree of risk. Minor complications that do not affect the outcome occur occasionally. Major complications are unusual. Most people are very happy with the results but no specific result can be guaranteed. If you would like more information on Xeomin®, or if you would like to schedule a consultation with Dr. Yarinsky, please contact our practice today.